We Tested Page Speed on 25 WordPress Plugins- Here's what we found! There are many ways to estimate whether a WordPress plugin is worth a try, like user reviews, the level of activity on support forums, and the last version release date, but that’s not what this article is about. In this comparison project, I’m going to test some of the most popular WordPress plugins out there, to find out how they will impact your site’s loading time – because they definitely will! I’m not just going to check speed optimization plugins, which have (or should have) a positive effect on site speed. My aim is to test a number of plugins in each category and see which one is the best to use in terms of its impact on performance. Why do you need this comparison? 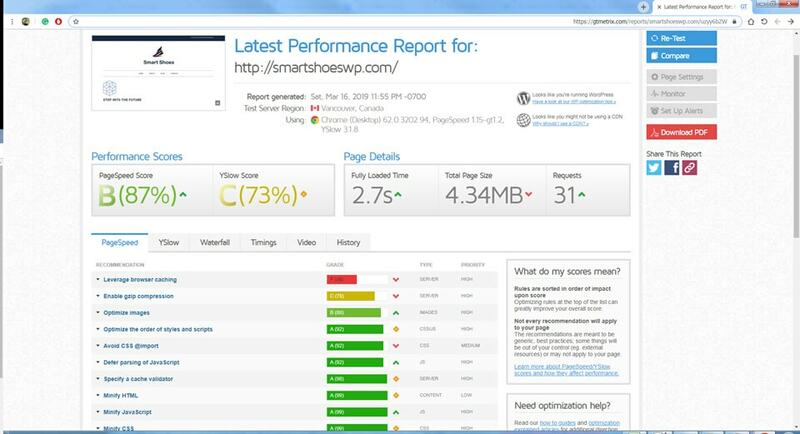 Because despite the huge impact it has on conversion and user experience, the speed parameter is hardly ever taken into account, and most plugin developers will not expose this information. Ready to get rid of old beliefs that are slowing you down? Let’s do it! 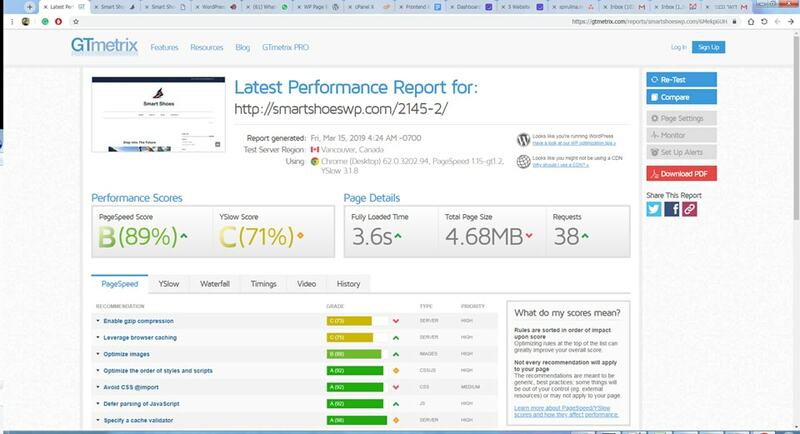 First Things First – How Do You Measure Website Speed? 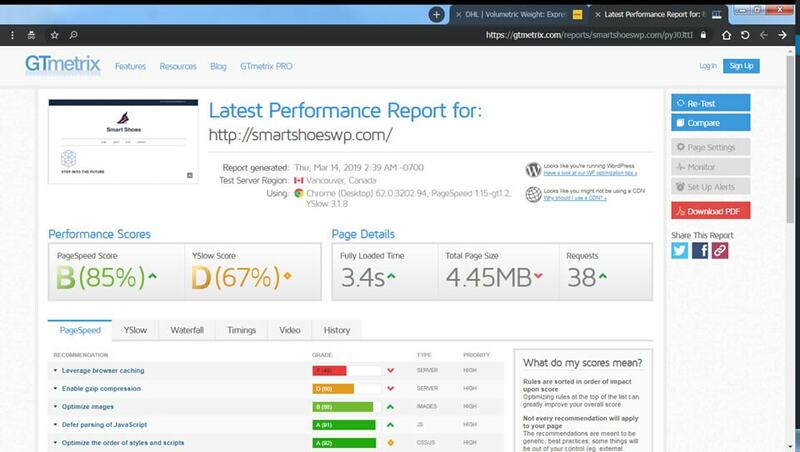 There are several tools available online to test your website speed, each with its own set of parameters. My personal favorite is GTMetrix, because it provides very detailed instructions on what is causing the speed problem and how to fix it. While GTMetrix cannot tell you which plugins are slowing down your site, you can test and retest your site multiple times to see the difference after installing plugins on your website, and that’s exactly what I did for the sake of this comparison. What Are the Most Popular WordPress Plugins in 2019? As promised, I wanted to test the plugins that are most commonly used, but searching Google for “Best WordPress Plugins” brought up way too many biased results. So, to be on the safe side, I went to the WordPress.org plugin repository and found a list of plugins with the largest number of active installations. Then, I categorized those plugins into groups which I believe represent the needs of the majority of WordPress users. To spice things up, I added 2-3 alternatives in each category, so I’d have reference points to compare to once I was done testing. I was hoping to be able to test multiple plugins in this category, but ever since WordPress 5.0 and the introduction of the Gutenberg block editor, many page builders have been struggling with compatibility issues. Due to the circumstances, the natural place to start would be without any plugins at all, using Gutenberg. The result was annoyingly faster than all other builders I’ve tested, with a total page load time of only 2.4 seconds. But if you’ve been using another builder that came out before WP5.0, and if you hate Gutenberg as much as I do, do yourself a favor and install “Disable Gutenberg.” Depending on the builder you are using, you may be able to view and edit your content as you did before. Beaver seems to be compatible with Gutenberg, which is impressive in itself. The actual builder is simple to use, but not very fancy. The total page size was still 4.68MB and the number of requests was 38. Despite that, it took GTMatrix 3.7 seconds to load the page, which is 1.2 extra seconds of loading. Elementor is a front-end block editor that allows you to customize page designs and layouts. While many similar plugins rely on heavy use of JS, Elementor is surprisingly light, and only adds 1 second to the overall page load, along with 46 additional requests and about 5.23MB. I never really understood the fuss about TinyMCE. Basically, it’s a backend plugin that’s supposed to make the classic WP editor more convenient and accessible. 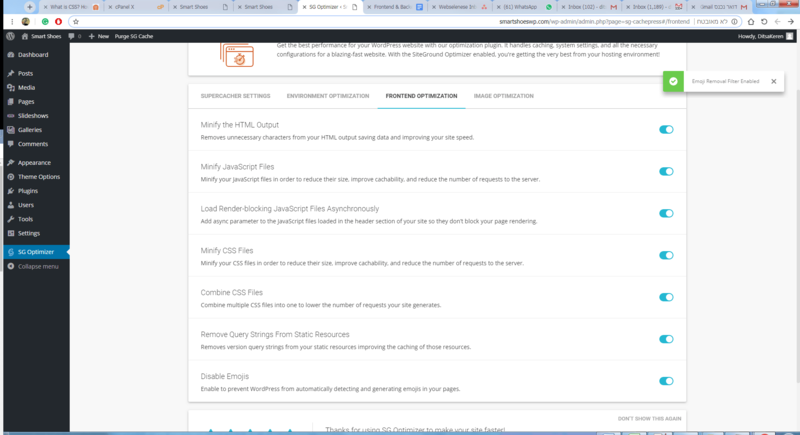 TinyMCE would probably make the transition easier for those who are still horrified by Gutenberg and were not using a page builder prior to WordPress 5.0. Given all that, I’d say 3.3 seconds is a small price to pay. So, What’s the Fastest Page Builder for WordPress? 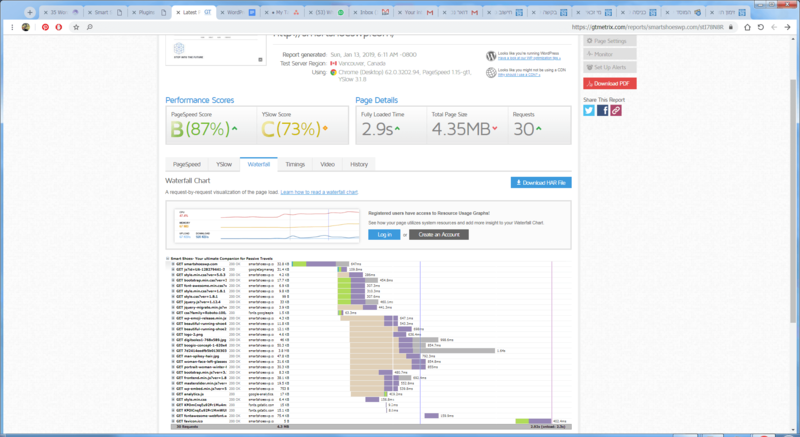 Despite being the heaviest of all builders, Elementor managed to load the page fairly quickly, though not as quickly as Gutenberg. To reach Elementor’s visual capabilities with a builder like Gutenberg, you’ll need additional widgets and tools that will slow things down, but Elementor already has all those tools built-in with its free version, for no extra weight. So although Gutenberg scored higher in the speed test, I still vouch for Elementor as the best page builder for WordPress. After deactivating all plugins and activating Yoast SEO, the fully loaded time went down to 2.9 seconds, minus two requests. It might be worth mentioning that my demo website was already using Yoast prior to this plugin test, so all the settings were already pre-configured. Looking at the waterfall graph, you can see quite a few elements that are slowing down the website, but none of them are related to Yoast. After installing and activating All in One SEO Pack, I’m pleased to say there was no effect on page speed whatsoever. This plugin is intended to simplify Google Analytics insights right on your dashboard. If you’re struggling with GA funnels, goals and traffic channels, this plugin could be just right for you. It does, however, slow down the loading time quite significantly, even without updating to pro. 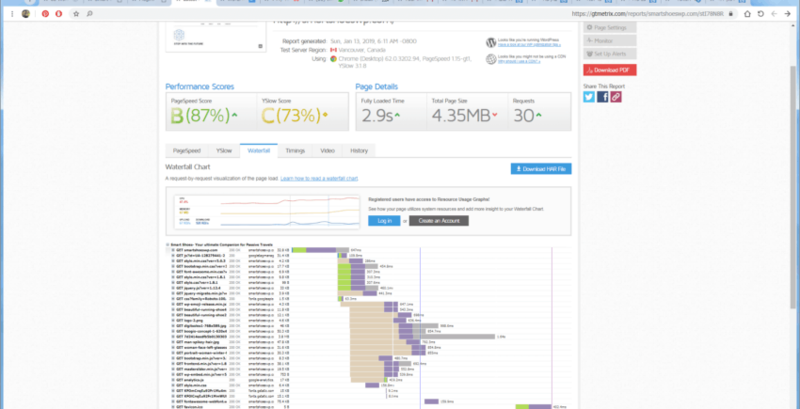 The total page load time after deactivating all plugins but MonsterInsights was 4.9 seconds. XML Sitemaps are a tricky thing to handle. Even if you’ve set up your sitemap, there can always be surprises. As you add more pages and post types over time, you may find your sitemap has changed and either contains irrelevant content or is missing important components. 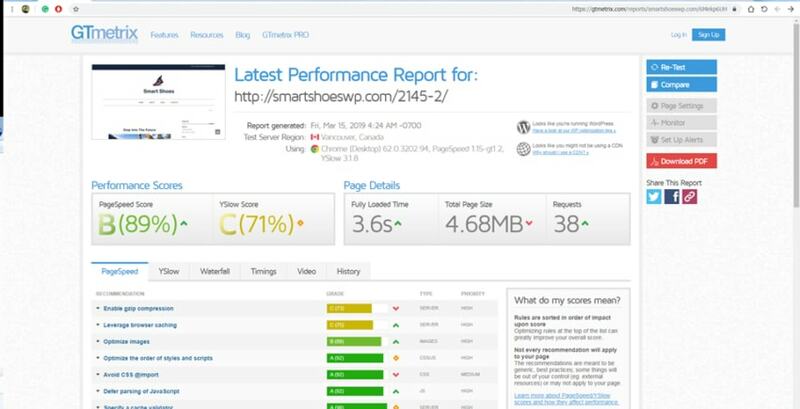 This free plugin comes to straighten things up and align your sitemap so Google and other search engines can scan it properly. 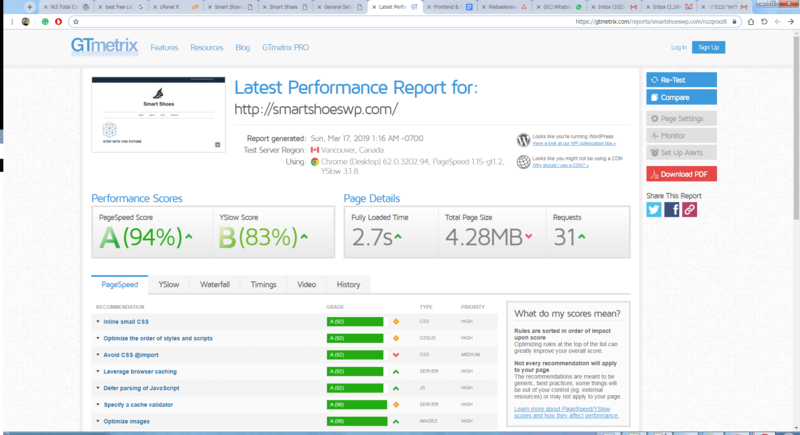 Although you can get these abilities from the all-inclusive Yoast SEO plugin, you may want to consider using this plugin instead, as it has very minimal effect on site speed. With XML sitemaps being the only activated plugin on the website, the loading time was only 3.3 seconds. Which SEO Plugin Is the Fastest? Both Yoast and All in One SEO scored 2.9 seconds, so in that sense, they are equally good. But Yoast also includes an XML sitemaps feature, so you don’t need an extra plugin for it. MonsterInsights is not worth your efforts, because everything it offers is available on Google Analytics. I’ve been using Wordfence for virtually every WordPress site I’ve created in the past five years, and I have only positive things to say about it. Indeed, Wordfence’s free version provides an excellent firewall against malware attacks and phishing attempts. Since it is such a detailed plugin with many customization options, I was expecting it to be quite a heavy burden on the page load speed. I was positively surprised to get a result of only 3.7 seconds, and no additional requests for external resources. Sucuri is a WordPress security plugin that protects your website and alerts you whenever suspicious activity or code is detected. 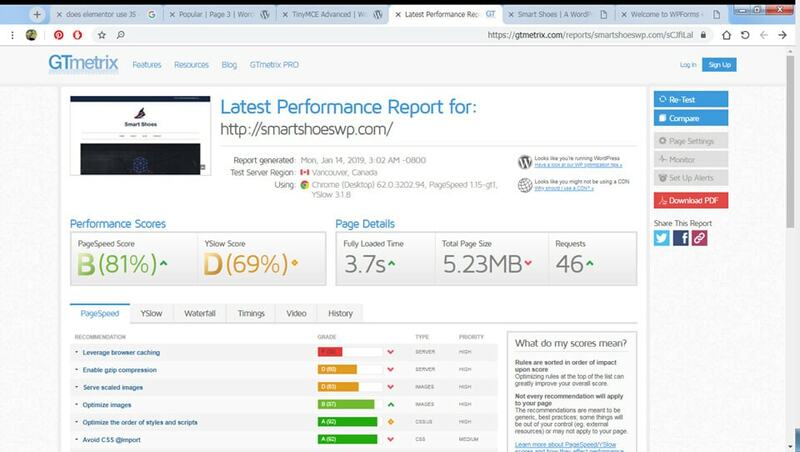 Judging from personal experience, it is the only effective solutions for actual website hacks, but unlike Wordfence, it seems to do the job with minimum impact on site speed. 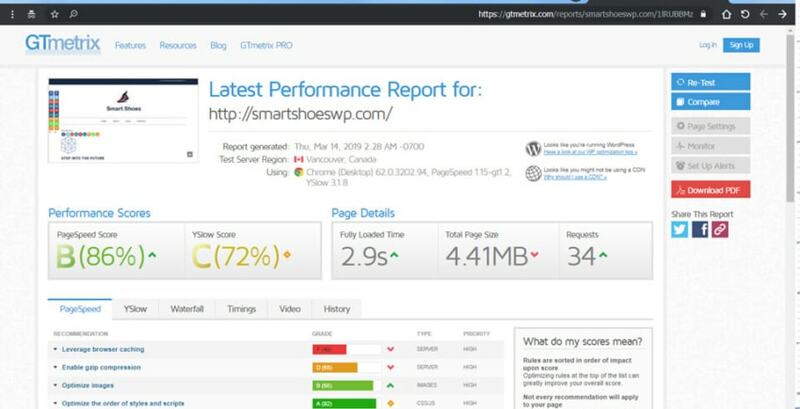 The GTMetrix speed test showed an impressive result of only 2.8 seconds of loading time when all other plugins are deactivated. This free plugin by Automattic is installed by default on all new WordPress websites, including WordPress.com, with the main target of blocking spam comments. As expected, it has absolutely no impact on site speed. Well done, Akismet! 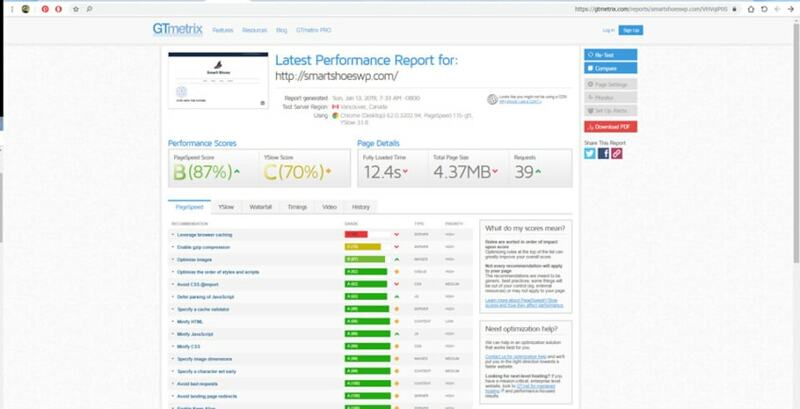 Which Security Plugin Should You Choose If You Need Fast Page Speed? Although Sucuri and Wordfence are similar in nature, Sucuri seems to be performing better than Wordfence in terms of speed. Regardless of security, it’s always good to have a spam blocker in place, and Akismet does that job with no extra weight. If you’re a WooCommerce lover like I am, get ready to be blown away. I hadn’t even added a single product to the shop, but installing and activating WooCommerce quadrupled my site loading time to an outrageous result of 12.4 seconds! This is the largest plugin I’ve tested so far, comprising of multiple JS, CSS and PHP scripts that obviously increase the number of requests for external resources, which explains why this process is so lengthy. There are ways around it though. By using a caching mechanism and disabling all unused features, you could probably cut the load time by half. Although that would take a lot of work, it will prove useful in the long run. Having said that, I don’t know of a better e-commerce solution for WordPress than WooCommerce, so if you’re seeking to create an online shop with WordPress, you’ll simply have to work around this limitation. This plugin by Pippin Williamson offers a convenient way to offer digital products on your eCommerce store. Many users have made the mistake of installing WooCommerce for this purpose, because it tends to look nicer, when in fact, Easy Digital Downloads is a far better option as it loads quicker and is more suited for digital products rather than physical goods. Which E-commerce Plugin Is the Fastest on WordPress? Easy Digital Downloads is definitely quicker, but I suppose speed isn’t really the question here. While there are a few low-level alternatives, these two plugins are the only ones that actually worth your efforts, and they do two completely different things. If your e-commerce plugins are slowing down your WordPress website, try changing your theme to something more compatible, like Storefront (for WooCommerce) or Themedd (for Easy Digital Downloads). 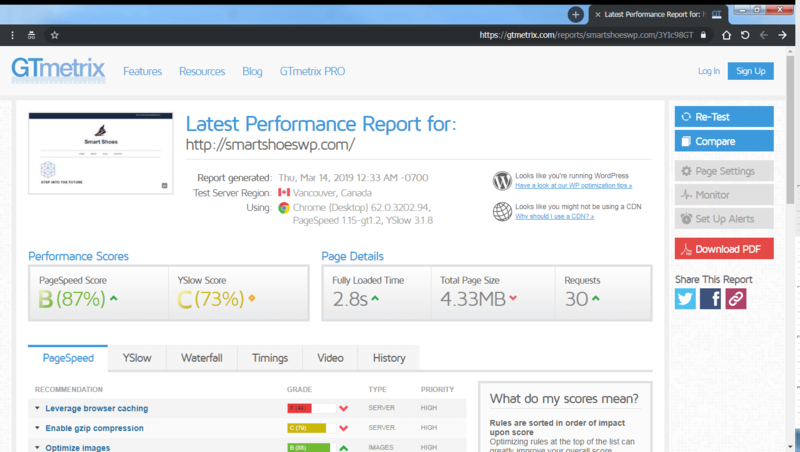 Just like Akismet, the Jetpack suite is installed by default on all new WordPress websites, but it is far more encompassing and adds an impressive set of social, performance, and security tools with no impact on site speed. Running the website with Jetpack being the only active plugin showed a loading time of only three seconds and 31 requests. No wonder Jetpack came fourth in the top list of WordPress plugins! The goal of this single-function plugin is to minimize your images according to their actual size on the page instead of pulling their original size from the image library. It is the only plugin that actually managed to reduce the loading time rather than increase it. 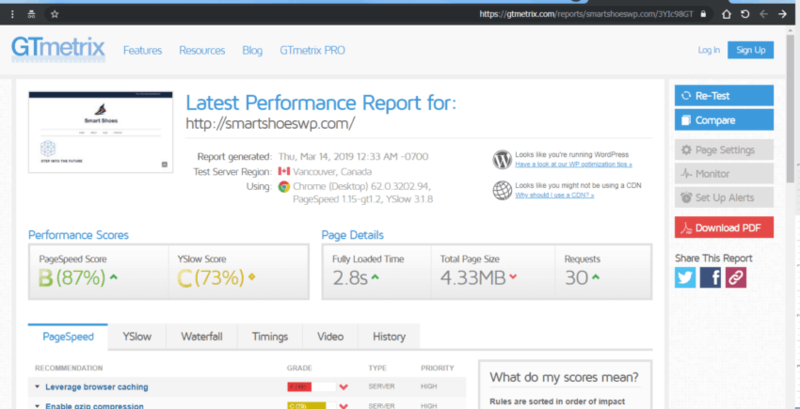 GTMetrix showed a page load of only 2.7 seconds. Just like Regenerate Thumbnails, Smush’s main goal is to minimize images and reduce page load. My previous experience has shown massive improvement in performance when using this tool on fully featured websites, but in this case, having Smush as the only active plugin, the GTMetrix speed test showed 3.1 seconds of loading. why? Probably because of the plugin’s heavy use of JS and CSS on the backend. 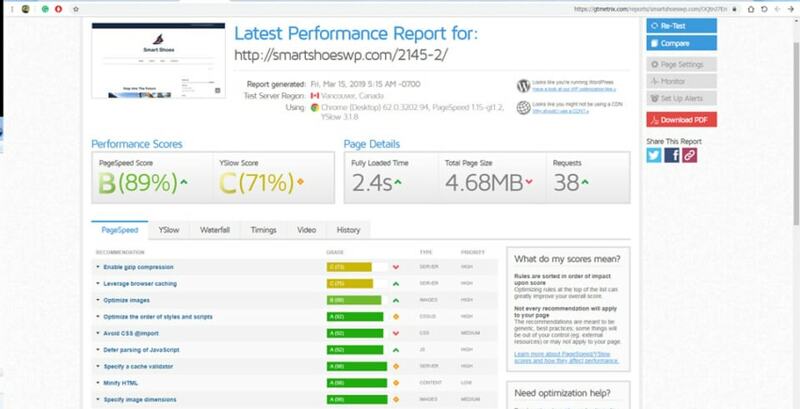 So, Which Optimization Plugin Is the Fastest? Out of these three options, Regenerate Thumbnails came out first on the list, but that doesn’t mean it is the best choice for image compression. Remember that Jetpack does a few other things as well, and it only takes three seconds until the page is fully loaded. And let’s not forget about caching plugins, which take performance a few steps forward and may well eliminate the need for a dedicated image compression plugin. In some ways, you may consider this category as an exception, for the simple reason that the entire purpose of these plugins is to minimize page size by accelerating the load of scripts and images. If that is the case, then page speed should also be better when using these plugins. But is that really the case? Let’s find out! This is the caching plugin that SiteGround hosting provides its users with by default. Options include minimizing CSS, JS, and HTML, as well as lazy-loading images and removing Jquery strings. After deactivating all other plugins and configuring SG SuperCacher’s settings, test results were incredible on all fronts. 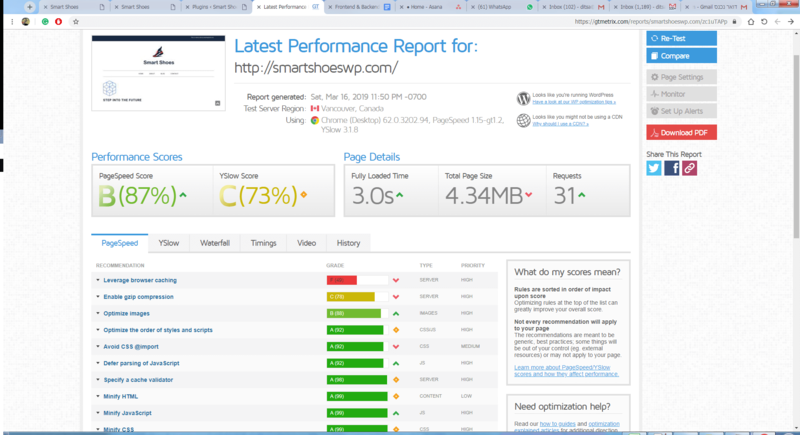 The page loading time went down to 1.9 seconds, page size down to 346KB, and the overall score on the page speed and YSlow tests were better. 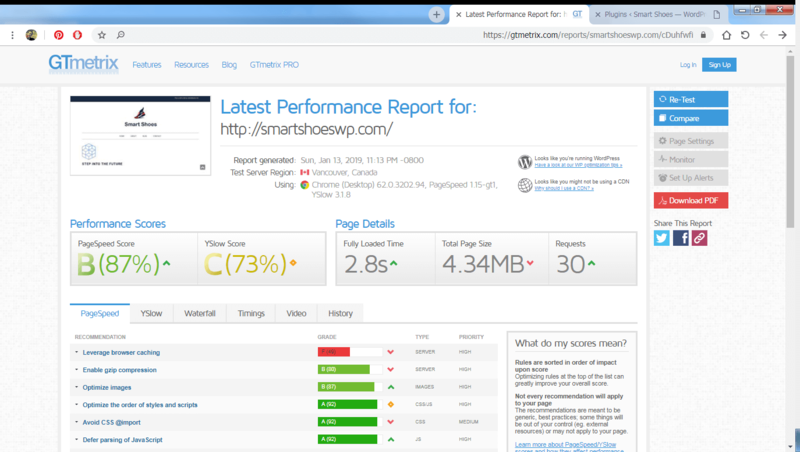 This plugin is one of the most popular caching plugins for WordPress. After installing and configuring the free version, I ran another test and reached a result of 2.7 seconds. 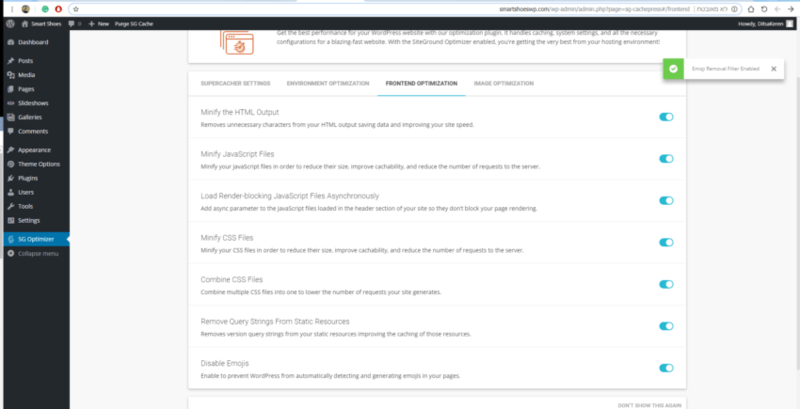 This is another popular caching plugin for WordPress. It lets you choose which parts of your website you want to cache, how to cache mobile and tablet versions and reduce the total number of requests. 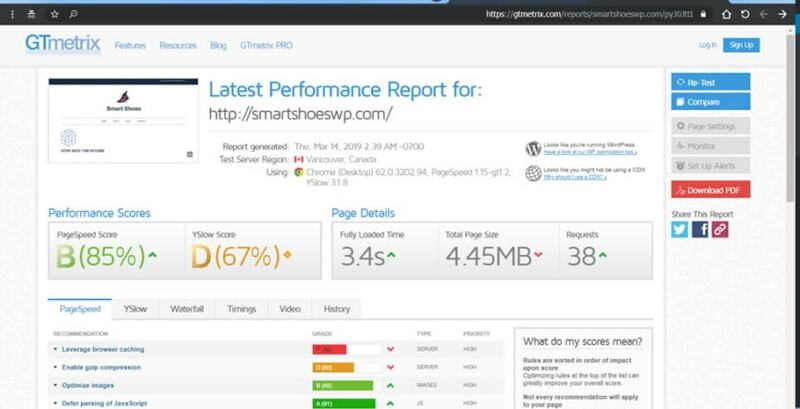 Sadly, features like CDN and Image optimization are not available with the free version. After configuring the plugin to its maximum capabilities, I managed to load the page in 2.9 seconds, and the total page size was 4.27 seconds. 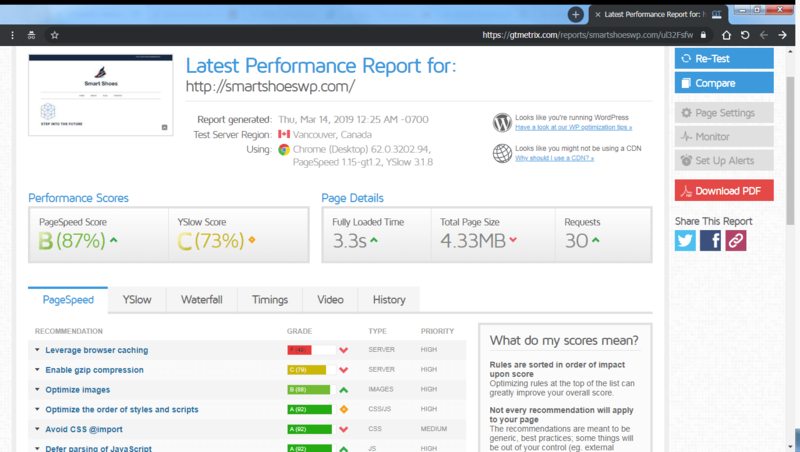 Which Caching Plugin Achieved the Best Performance Score? Obviously, Caching plugins are an exceptional category in the sense that their entire purpose is to improve performance. Had I used the premium versions of these plugins, it’s possible I would have gotten better results – but as of now, it seems that W3 Total Cache and WP Fastest Cache don’t even come close to what SG SuperCacher is capable of. 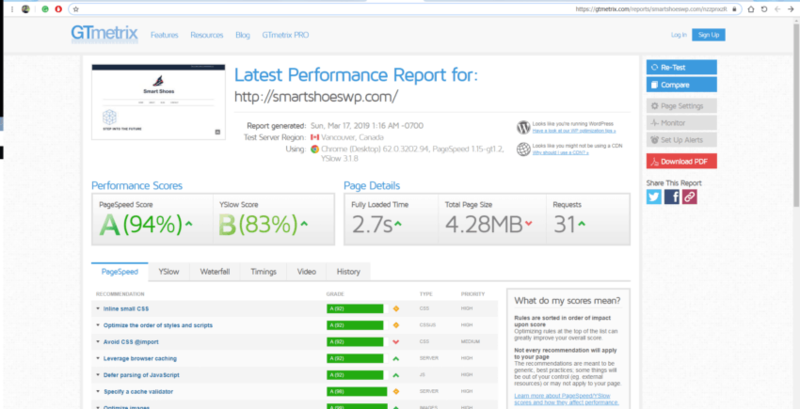 It should be noted that SG SuperCacher is provided to Siteground users as part of the hosting package. If your host is offering a different tool, it’s worth checking that one first, as it will probably be the most compatible option for your server infrastructure. This is a popular form generator for WordPress. It allows you not only to publish forms on your website but to actually have all submissions neatly arranged within your wp-admin, similar to how you’d view post comments and product reviews. The result of 3.4 seconds seems a bit high, considering all I did was place a contact form in the footer. YSlow score went down to 67%, which means there’s a lot going on in the background. I installed and activated Contact Form 7 without doing anything further. I didn’t create a form and I didn’t publish it on the website, and yet the result showed an increase of 0.3 seconds, totaling in a load time of 3.1 seconds, and 32 requests for external resources instead of 30. Installing and activating the plugin resulted in 3.3 seconds of page load and no additional requests, but after creating a basic form and embedding it on the page, the load time went up by 0.2 seconds and 3 additional requests for external resources. Which WordPress Forms Plugin Is the Fastest? Contact Form 7 managed to deliver the fastest results, with only 3.1 seconds of loading. It was also the simplest to use of all three options, even if not the most flexible. To customize styles and behavior on Contact Form 7, you’d need to insert code snippets, whereas other plugins have easier customization options built into the interface. This could have been a really awesome plugin. It’s a completely free way of sending out and monitoring both automated and manual newsletters right from your WordPress dashboard. However, due to incompatibility with some hosting providers (Siteground included), MailPoet can cause serious CPU overload. When that happens, your site will be down. Although the company claims to have fixed this issue, user forums are still full of complaints. And while GTMetrix speed test shows only 3.5 seconds of loading, the real parameter to check this is your CPU usage (which you can see in cPanel) about 24 hours after installing and activating the plugin. This super heavy plugin made my computer rawr like crazy. After installing Newsletters, I was taken to a quick JS-based setup process. The bold, dark look and slick animations on wp-admin during those moments was clearly slowing things down from my end, but on GTMetrix, it was business as usual, with a reasonable load speed of 3.5 seconds. Just like the previous two plugins, Newsletters is another heavy one that lets you send out emails to your WordPress subscribers and customers right from your WordPress dashboard. This one, in particular, has so many options that it’s a wonder WordPress can work at all. 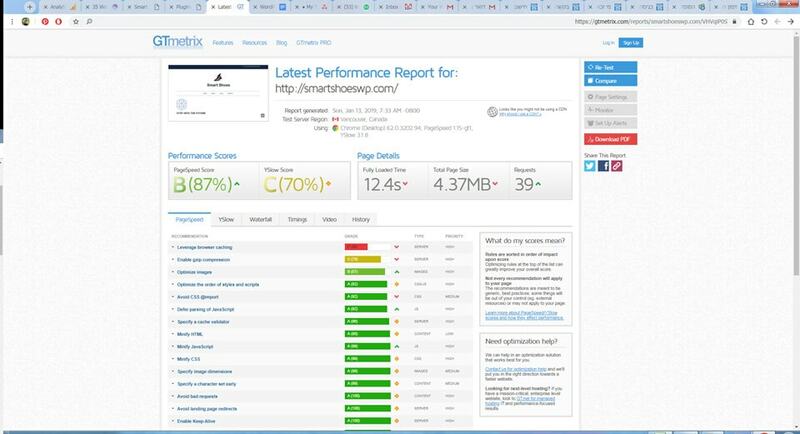 GTMetrix test showed a huge jump in page load time, resulting in 16.8 seconds, which is twice as much as the global average of 6.8 seconds! Which Newsletter Plugin Has the Fastest Page Speed? Of these three options, Newsletter and MailPoet both scored 3.5 seconds, but while MailPoet was causing CPU issues, Newsletter worked smoothly with no problems whatsoever. Considering they both do the same thing, Newsletter would be my preferred choice. With over 4,000 positive reviews on WordPress.org, this plugin lets you display any social icon you can think of so that users can share your content on platforms like YouTube and Instagram on the free version or Reddit, Buffer, and Amazon on the premium version. This may be a good time to mention that social media components tend to slow pages down because they require your server to call for external scripts. 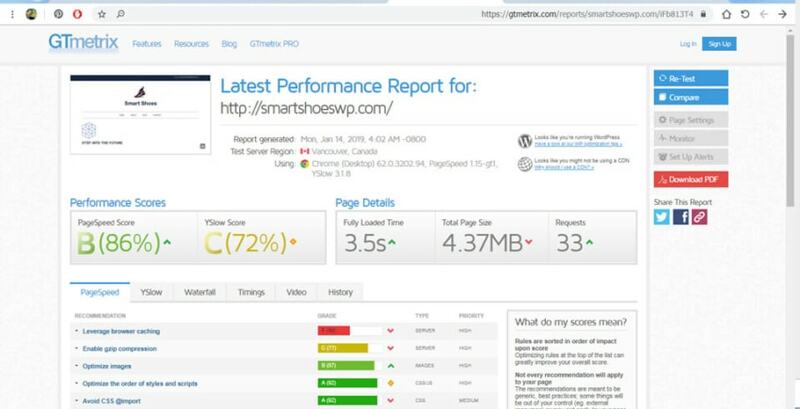 So, after deactivating all other plugins, and placing all the plugin elements on the front page, GTMetrix showed a result of 4.9 seconds, and an outrageous number of 74 requests. As the name implies, this plugin does a lot more than social sharing. It has multiple functions that can really take your social following further, but it also offers some optimization options that should theoretically reduce the load of scripts from external resources (like Facebook, Twitter, etc.). After activating and configuring the plugin, I placed a few of its widgets on the footer and ran another test on GTMetrix. The final result was 3.1 seconds and 41 requests. This plugin came second on the list of top social plugins on WordPress. It has all the popular social icons ready to fire from any location you choose, including some pretty rare sharing buttons, like WhatsApp, MW, and Mix. I went ahead a shoved those icons anywhere possible so I could see the effect on site speed, but Sassy kept on going with an impressive speed of only 2.9 seconds. Which Social Plugin Is the Fastest on WordPress? 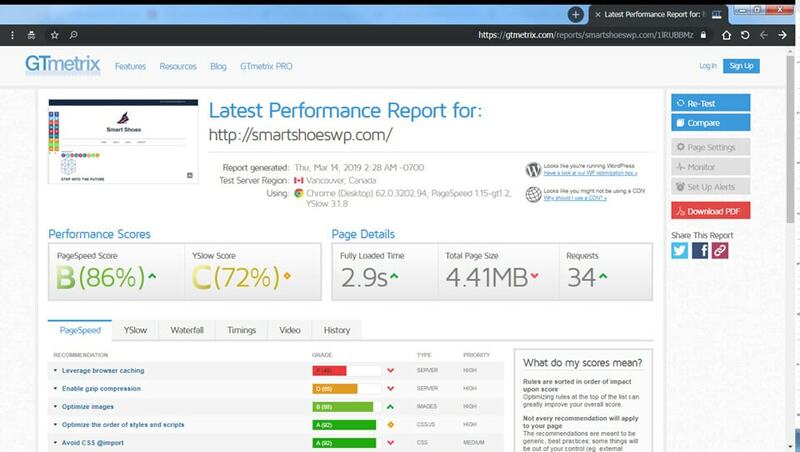 Sassy Social Share managed to load fastest, but Super Localizer provided better social tools for only 0.2 extra seconds. So, if all you need is social sharing buttons, Sassy would be a wise choice, but if you also want to include social login and comments, Super Localizer would be a better option. While WordPress plugins offer incredible capabilities at the click of a button, some of them can cause serious strains on page loading times, which ultimately damages the user experience. Everybody knows that the first thing to do when you want to speed up a WordPress website is to remove unnecessary plugins. For that matter, you can refer to this article as a shortcut to eliminating heavy plugins and replacing them with better, faster alternatives.